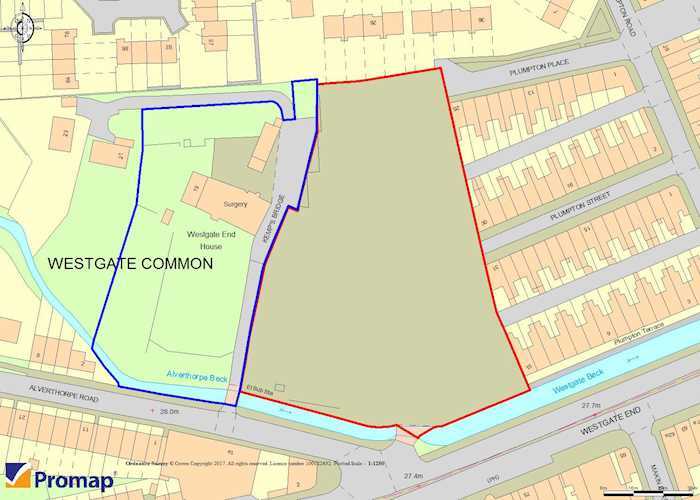 Previous planning permission for residential redevelopment (53 dwellings) . Approximate area 1.29 ha (3.2 acres). 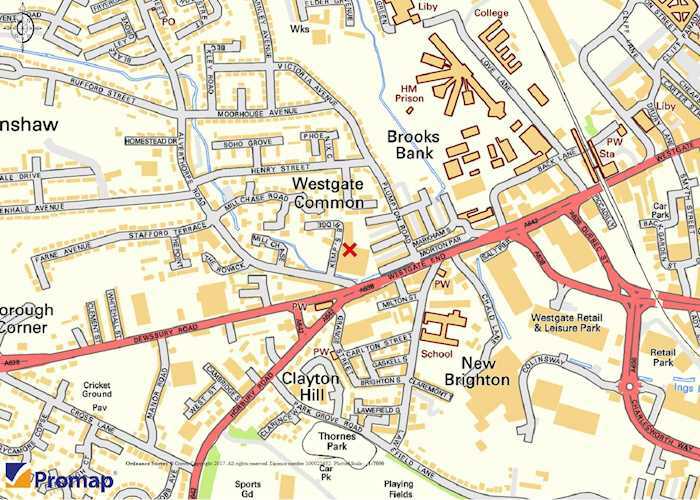 Situated approximately one mile to the west of Wakefield City centre within a mixed use area accessed off Alverthorpe Road. Public transport includes Wakefield Westgate railway station. Westgate End forms part of the A638 trunk road which links with Junction 40 of the M1. A site of approximately 1.29 ha (3.2 acres). To the east is the former Warburtons Bakery site (0.79 ha / 1.94 acres) which has now been demolished and provides hardstanding. The land to the west at Kemps Bridge (0.5 ha / 1.27 acres) comprises open land with a dilapidated former coach house. 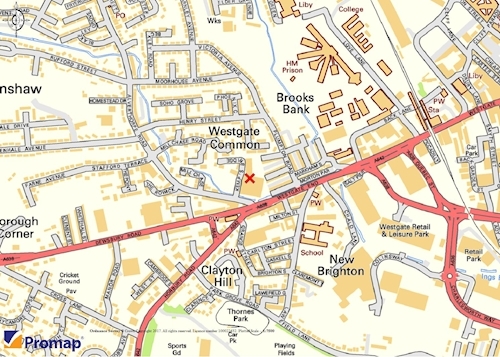 It is considered that the site is suitable for residential development subject to the usual consents. Planning permission was previously granted in 2011 for 53 dwellings (ref: 08/00870/OUT). 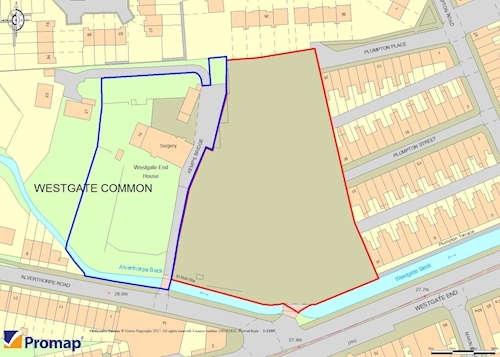 There was also a previous application on the land at Kemps Bridge dated 2006 which included conversion of the existing buildings for residential use and for the erection of 9 additional dwellings (planning ref: 03/33/61605/B).